The flavor is built right in. Creamy-white rice and pearl-type kernels are noted for their excellent popping ability and remarkable buttery flavor. No salt or oil is needed! Prefers moist, well-drained soil, full sun and a soil pH of 5.8 to 7.0. Grows best in Zones 4-8. A multi-purpose corn, which makes excellent polenta, masa and corn flour. Deer love it too, so protect your crop with a tall fence or diligent repellent application. Originally perpetuated by the Pennsylvania Dutch. Photo courtesy of Baker Creek Heirloom Seed. Sow outdoors: When temperatures reach 50º. 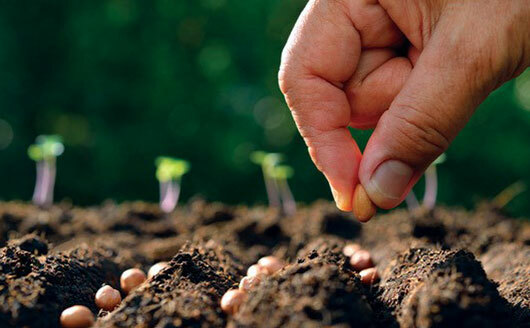 Seeds germinate 3 times faster at a temperature of 70º.